One can use a mobile phone, as well as connecting to a laptop to gain free access to the internet, using free Wi-Fi, shared with a mobile hotspot. To also access internet service on your laptop, you can connect it to a mobile broadband network service, from a cellular network. Wi-Fi and 4G can be used alongside each other for convenience, but sometimes, if your budget cannot cover the cost of both networks, you may have to choose which one you can afford to buy. Occasionally, mobile internet data plans can be costly on some devices, because of the large amount of data they consume, and in such cases, you may need a Wi-Fi connection. 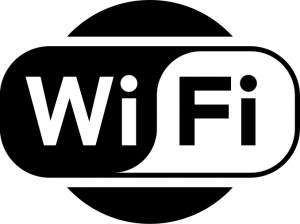 Here are some of the primary advantages, and drawbacks, of using either Wi-Fi or mobile internet, to stay connected. To gain access to the internet, you can use either your 3G or 4G network to connect your laptop. This is usually done using a USB modem or via an inbuilt mobile broadband card. You can also access mobile broadband internet, using a portable hotspot device connected to your laptop, to allow you access everywhere you go. The benefit of using mobile broadband internet is that it allows you to stay connected, wherever there is a network signal, and there is fast internet speed. The problem with this connection is that you become stuck when the network is either too slow, or there is no reception at all. They are also referred to as internet cafes, where people can rent a computer already connected to the internet, or get Wi-Fi internet access for a limited time. At a cybercafé, it isn’t essential to take your laptop, because you have full access to their computers, scanners and printers. However, cybercafés are usually very scarce so you may not find them everywhere, and it is also very expensive working on a rented computer. You can only have access to Wi-Fi for the duration you paid for. Another issue that you face at a cybercafé is exposure to virus and security threats. Internet cafes are usually the best option for travellers, that need quick access to the internet for urgent matters. By using a tethering hotspot, it means you are connecting the internet on your mobile phone, to your laptop, to stay online. You can easily use your phone as a modem for your laptop, where there is a signal on your mobile network. It is safer to use this method for internet access, rather than going to a cybercafé, because your data is secure. The problem with network tethering is that you have to struggle with a slow network, or you might find it hard to get reception sometimes. It is a good alternative, where there is no Wi-Fi network. You can find hotspots in public places like hotels, airports and restaurants. It allows you to connect your mobile device, and laptop, through wireless internet. This internet service is mostly free when you make use of the services offered in that area. If you rely on this method for internet access, it is expensive, because you have to spend money on buying food, drinks or getting a hotel room. The connection is also not secure, because it doesn’t have Wi-Fi Protected Access (WPA) encryption.